Nobody ever wants to discover rats in their home. Rats can lead to big problems in all sorts of different areas. They can destroy property and possessions through chewing, and they can lead to diseases through the fleas they carry as well as their excrement. When you see one rat in your home, a good decision would be to contact an exterminator immediately to remove the rat and find out if there are more. You may be tempted to set out traps, but you need to be careful. Children and animals may get into poisons when you aren’t looking, and one trap may not be enough if there is more than one rat in your home. Rats are smart and will know how to hide and keep away from people, which is why you need a professional to make sure that there aren’t more lurking in your house. 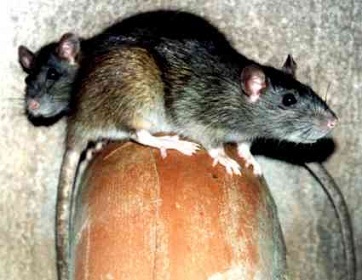 Rats will enter a home in order to have shelter and warmth. Food is a bonus and rats aren’t too terribly picky about what they eat. If they can get into your pantry and chew through bags and boxes to get something to eat, they will. What’s more, if they discover insects they can eat, then they will do so and that will entice them to stay longer. Rats can make nests in many locations in the house, from the attics to the walls, and will use various materials to craft the nests. You may discover small pieces of clothing missing, chewed through by rats. You don’t have to live with rats and you certainly don’t have to handle them on your own. Gulfstream Environmental Services is prepared to give you a free evaluation and let you know just what is going on inside of your home. We can tell you the severity of the rat problem as well as the methods we use to remove rats. We focus as much as possible on using green products. These products are environmentally friendly and pose no risk to you or your family. Pets are safe too! Once we take care of the rats we can show you where any repairs need to be made due to rat damage, as well as indicate how they got in so you can make any changes to those locations. We make it affordable for you to have professional help in making your home free of rats once again.